Henry Page has never been in love. The slo-mo, can’t-eat-can’t-sleep kind of love he’s been hoping for just hasn’t been on the cards—at least not yet. Henry’s too busy trying to get into a semi-decent college and become editor of his school newspaper, a dream three years in the making. The rest of his spare time he spends with his best friends, Lola and Murray, playing video games and advising them on their own sordid love lives. Then he meets Grace Town, the elusive new girl in school, who wears oversized boys’ clothing, walks with a cane, rarely seems to shower, and is hiding crushing secrets. 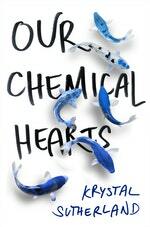 She’s hardly who Henry expected his dream girl to be, but when the two are chosen to edit the paper together, sparks fly. After all this time, Henry’s about to learn firsthand just how disastrous the road to first love can be—and that sometimes it’s the detours that end up mattering much more. 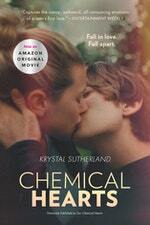 A brilliant debut that is equal parts humour and heartbreak, Krystal Sutherland’s Our Chemical Hearts is a potent reminder of the bittersweet bliss that is first love. Love Our Chemical Hearts? Subscribe to Read More to find out about similar books.